Price comparison on rental cars at Granada-Jaén Airport (Aeropuerto de Granada, International), IATA: GRX, ICAO: LEGR in Spain online. Search and book a vehicle in three easy steps. 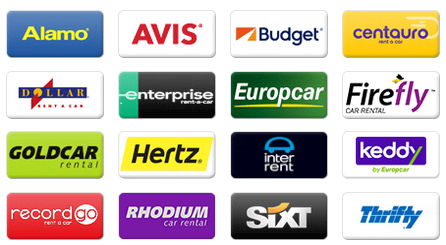 Compare car rental companies like Avis, Europcar, Flizzr, Dollar, Sixt, Surprice, Goldcar, Alamo, Keddy By Europcar, Firefly, Budget, Enterprise, National, InterRent, Thrifty, Hertz, etc. The price includes free mileage, obligatory insurances, airport fees, local taxes and fees. Autospain.co.uk can help you search for rental cars. We can offer car hire where every cost is included, no hidden fees and free cancellations/amendments up to 24 hours before you are supposed to retrieve the car. Easy and safe online search for rental cars. Rental cars you can pick up directly at the airport, Federico García Lorca Granada-Jaén Airport. Look for a location and a choose destination in the list. Autospain.co.uk lists prices from companies that are safe and quality assured so that there will not be any problems when you arrive. Airport code is IATA: GRX and ICAO: LEGR. It always pays off to compare before you book. Small local businesses often have very good prices. We compare rental car prices and car hires from many companies at Granada-Jaén Airport in Granada, Spain and find the best prices on rental cars. Closest communities are Santafé 5 km, Pinos Puente 7 km, Atarfe 9 km, Cúllar-Vega 10 km and Las Gabias 11 km. Suv, jeep, estate, economy, cargo van, moped, 9 seat minivan, minibus, standard, 7 seat minivan, premium, compact, mini, intermediate, fullsize, 5 seat minivan, convertible, luxury, minivan and automatic transmission cars are car types and models that autospain.co.uk can compare prices on. Compare the number of days you want, whether that be a week, weekend, rent for a day, a year, a whole month or a long-term rental. Collect the car in one place and return it somewhere else, e.g. another city or country. It is possible to rent a car for one way, called the one way rental. We at autospain.co.uk compare these companies in Spain, Goldcar on Airport Petrol Station Ctra Aeropuerto Km 0 5 Santa Fe, Alamo, ACE on Ctra Aeropuerto Km 0 5 Santa Fe, Interrent on Airport Petrol Station Ctra Aeropuerto Km 0 5 Santa Fe, Eurocar Return on Santa Fe, Avis on Calle Aeropuerto 0 S N Chauchina, Sixt on Ctra Aeropuerto Km 0 5, OK on Aeropuerto Federico Garcia Lorca S N Chauchina, National, Tipoa on Chauchina, Europcar on Shuttle Bus Service Meeting Point Ctra Apto Km 0 5 Santa Fe, Budget España on Carretera de, Avis on Airport Grx Carretera de Airport Chauchina, Enterprise on Ctra del Aeropuerto Km 0 5, Sixt on Santa Fe. About Granada-Jaén Airport (Federico García Lorca Granada-Jaén Airport) information, facts and data. The airport is in the municipality of Granada, in the Andalusia region, in Spain. Closest big cities and communities are Málaga 77 km (c. 568300 pop), Granada 15 km (c. 234300 pop), Jaén 65 km (c. 116600 pop), Vélez-Málaga 54 km (c. 74200 pop), Torremolinos 90 km (c. 65400 pop) and Motril 54 km (c. 60300 pop). Málaga Airport are other airports nearby. The airport is situated above sea level by 1860 feet/567 meters. Federico García Lorca Granada-Jaén Airport, Federico García Lorca Airport, Aeropuerto de Granada, International are alternative names. Need a place to sleep? Bs Capitulaciones, Hotel Marinetto, Hotel Restaurante El Cruce and El Soto de Roma are examples of hotels and youth hostels close to the airport. They are all within 3 km. More information on where you pick up or return your rental car can be found on your order/ voucher information after you made your reservation. All companies have their own offices where you pick up keys etc. Are you planning to, or are you flying to/from, and will be using Federico García Lorca Granada-Jaén Airport on your holiday or trip? Here you can find information, maps, weather, contact information and airport information. Buses? These stations and stops for buses are located at the airport Aeropuerto Granada-Jaen and Granada Bus Station. Armilla, Jaén, Fernando de los Ríos and Caleta are subway (metro) stations near the airport. 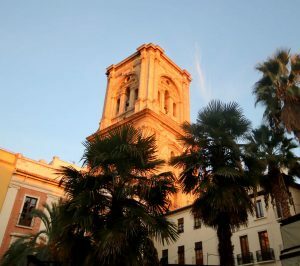 If you come to the airport, or will continue by train when you have left or picked up the rental car, Granada Railway Station are nearby. When you are looking for rental cars, we compare these companies Marbesol, TopCar, Delpaso, Autos Valls, Record, Orcar Canarias, InterRent, Autos Menorca, Orlando, Faycan, Centauro, Avis, Niza, Flizzr, Maggiore, Hiper Rent a car, Owners Cars, Cooltra Scooter, Europcar, Rhodium, Budget, Autoclick, CICAR, Alamo, Dickmanns, Canarias.com, National, Sixt, Thrifty, Keddy By Europcar, King rent, Hertz, ClickRent, OK Rent a Car, Enterprise, Nomadcar, Wiber, Firefly, Goldcar, Atesa, Dollar, Drivalia, Hertz Dream Collection, Surprice, Class Rent a Car, Solmar, Malco Rent a Car, Autos Aguirre, La Palma 24 and AutoReisen at autospain.co.uk, all with offices in Spain.